Blackberry’s glory days have passed. Just a few years ago, a Blackberry was a status symbol amongst businessmen. Meanwhile, most companies provide their employees with Android and iPhone devices. However, there are still a few people who want or simply have to use a Blackberry. And the latest and up to date models like Blackberry Z30, Blackberry Playbook or Blackberry Leap are even suited for mobile poker. The choice of Blackberry mobile poker apps is narrow – but at least it is possible to play real money poker on a Blackberry in 2017. If you’re looking for Blackberry poker app at one of the larger poker rooms, you might be disappointed. 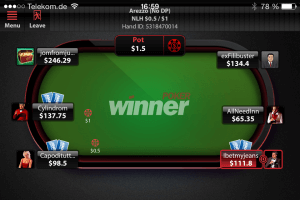 Even with other sources on the internet saying it is possible to play mobile poker on a Blackberry at 888 poker or PokerStars: you can stop searching – it is not. We used our good connections to these poker rooms and they have pointed out that there is no 888 poker app for Blackberry. And even the 888 poker web app is only available on Android and iOS. It’s the same at PokerStars: You cannot play mobile poker there on a Blackberry. We will update this site as soon as this situation changes. Why are there so few Blackberry poker apps available? If you’ve already been looking for a Blackberry poker app for a long time or are not satisfied with the above selection, we can only ask you to drop by again at poker-apps.net later. We will definitely update this page as soon as we get a note about a new Blackberry real money poker app. The reason for such a weak selection of Blackberry poker apps is quite simple: it doesn’t pay out. With a market share of as much as 0,3% in the first quarter of 2015, Blackberry is just a niche product. Most app developers do not want to spend money on programming a native app for a device that only few people are using. Luckily, a few poker rooms did see this as a chance and made the effort anyways. On the other hand, we are pretty confident that the number of Blackberry poker apps will increase soon. 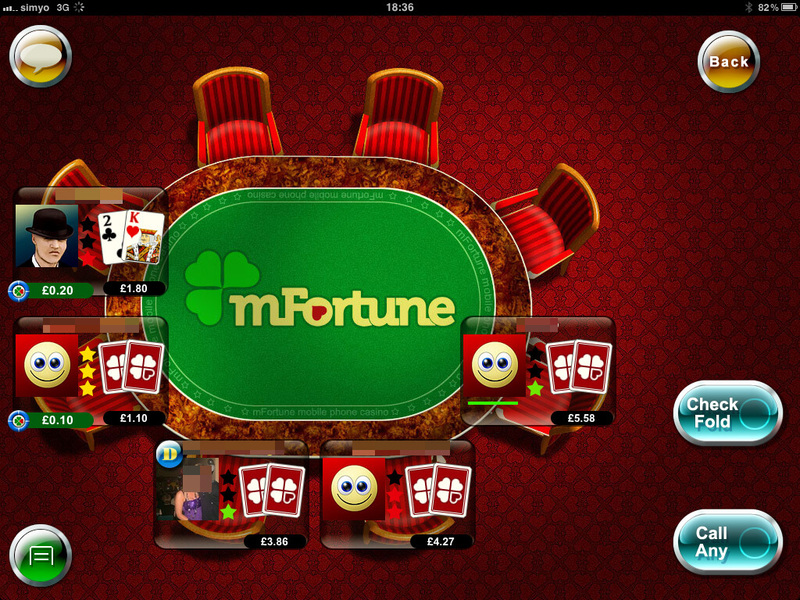 More and more poker rooms offer html5 web apps that run on most mobile browsers. The effort to make such an app work on a Blackberry is much smaller than developing a native app only for Blackberry. If you take a look at the online casinos for Blackberry you can already see that way more mobile apps are available for blackberry as well. 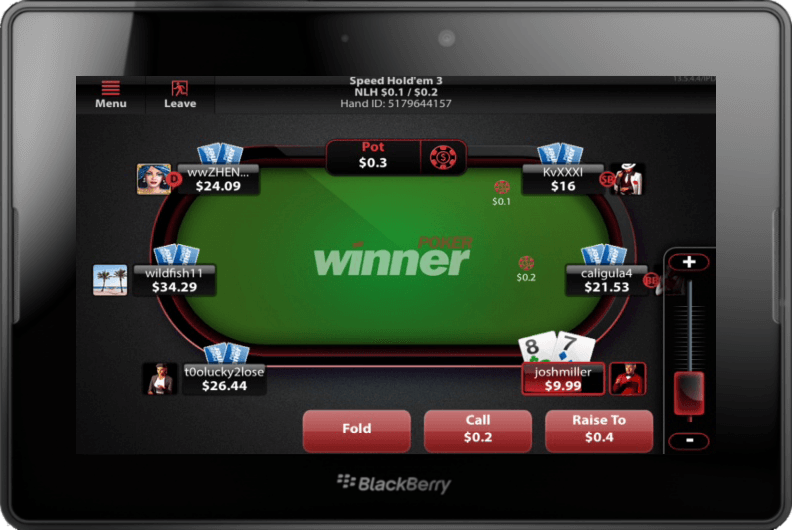 As soon as the poker apps are available for Blackberry, too, we will let you know here.